Imagine having a visual learner with dyslexia who often can’t remember what you read to him an hour before but can quote an entire movie after he sees it once. Enter homeschooling with documentaries to help add in the visual element he needs. Imagine this same child after getting the visual aspect then pointing out things he remembers when you’re re-reading the text account 3 days later. I was hesitant to add TV time as part of our learning. I’m a believer in Charlotte Mason’s methods but my child needed something more. And now, I’ve fallen in love with having this particular genre of media added into our schooling, too. Seeing his confidence grow as he is able to learn faster and remember more details is such a gift. By now, you’ve heard of homeschooling with documentaries on Netflix through friends on Facebook, your favorite blogs, or from friends at the co-op. Perhaps Amazon Prime, Curiosity Stream or some other online service, as well as DVDs from the library, were mentioned too. If you have a visual learner, these can be invaluable, but almost all children enjoy the visual aspect of learning through documentaries. We’ve put together 101 of our favorite reasons to homeschool with documentaries as well as several of our favorites here for you. We do use many documentaries and the occasional movie or show (like Liberty’s Kids) to help Mr. T remember more facts about what we are learning. With dyslexia, he needs the visuals and we are super grateful to have these resources! We’ve included everything from the best American history documentaries to really cool history documentaries about fearsome female pirates! I hope you find reassurance that documentaries do count as learning and find some cool new ones to view with your family. 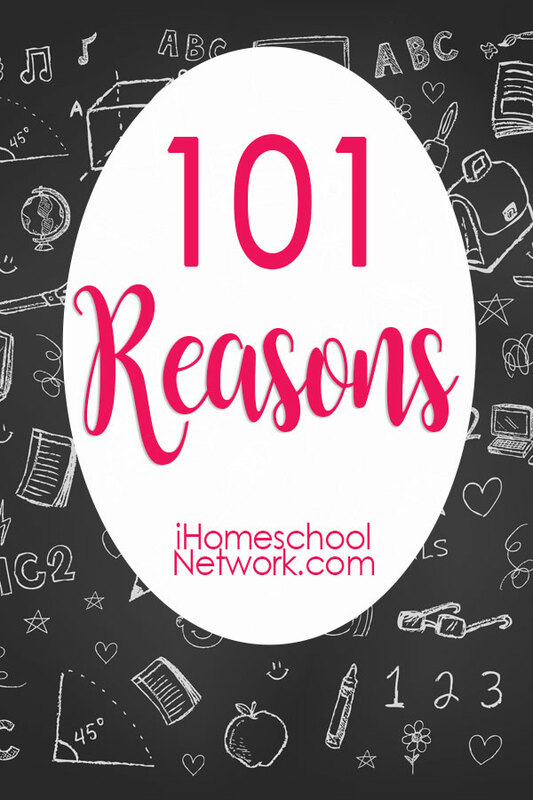 Here are our 101 reasons and resources! According to a recent UC Berkeley & BBC research study, watching nature documentaries can have a positive effect on your mental health. It gives you an intellectual break from the mundane television that fills up most channels. Stereokroma TV on Amazon Prime has almost two dozen ‘how it’s made’ videos including butcher block, maple syrup candy, and Panda candy. Let’s kids explore ancient civilizations through 3D animations. STEM exploration, discover technology, possibilities and inventions of those doing the work. Experience incredible music concerts, operas, symphonies, ballets and more. Explore incredible art from around the globe from the comfort of your own home. Teach children about modern history through documentary films that document live events that have happened in the last 40 years. Learn about the foods you eat every day… how they are grown, how they are harvested, and how they end up in your grocery store. Discover family history through genealogy documentaries… you never know who you’ll discover you are related to. Let’s children explore their passions…. for example, historical documentaries about cowboys, soldiers or knights, scientific documentaries, about space, or dinosaurs, just to name a few. Discover ancient rulers, kings, emperors, and dictators. Learn about Hollywood, how movies are made and famous actors through the ages. Listen to great lectures from Universities around the world. You can work out or clean house to your favorite get in the groove tunes using Prime Music. Curiosity Stream has educational documentaries for kids, teens, and grown-ups. Forensic Files on Hulu is the perfect series for a future criminologist. Making a Scene on Hulu is a great documentary for movie lovers. It takes us from script to screen. Travel across the pond with the Pilgrims in the documentary “Pilgrims” available on Amazon Prime. Teach your children about Ellis Island and how it served as the gateway into the U.S. for many immigrants with the documentary “Forgotten, Ellis Island” available on Amazon Prime. Learn how families are tied together through DNA with DNA Detectives – an Amazon Prime series. Use documentaries to allow your children to see great performances of symphonies, orchestras, musical prodigies and more. Explore STEM learning utilizing Documentaries that give you insights into science, tech, engineering, and math, with zero mess. Discover biographies relating to historical figures who brought about change, affected the world, made amazing discoveries and inventions. 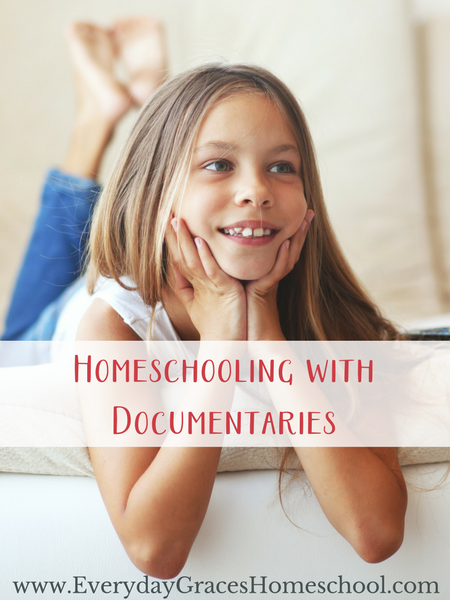 Homeschooling with documentaries is truly a great way to help reinforce learning. What is your family’s favorite documentary?